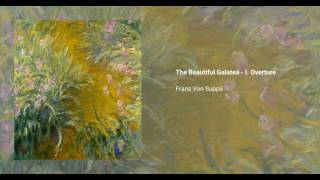 The Beautiful Galatea is an operetta in two acts written by Franz von Suppe to a German libretto by 'Poly Henrion' (pseudonym of Leonhard Kohl von Kohlenegg). It was one of Von Suppé's first successes, in which he combined the Vienesse tradition with the modern style of Offenbach. The piece was first performed in 1863. The story revolves around the character of Pygmalion, a sculptor who was fallen in love with his statue of Galathée, and asks to Venus that she is brought to life..